What a long, strange trip it has been for Moncton-born, Nashville-based singer-songwriter Mike Plume. 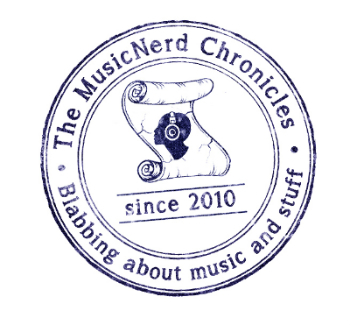 With a music career that was building momentum with each successive album release from the mid 90s into this decade, Plume not so abruptly pulled the plug on music in 2003. And with that, The Mike Plume Band, a group that had released six records in eight years and logged over 1,200 shows across Canada, the United States and Europe were at a standstill. “I just wasn’t sure if I wanted to play music anymore,” Plume explains of the decision to send the Mike Plume Band to the locker room for almost five years. Prior to their newest masterpiece 8:30 Newfoundland being released, the group’s last record Table For One hit the streets in 2003. But even then, Plume was acutely aware that he was going to need a break before too long. He didn’t completely abandon music after bringing the band to a halt though. In 2003, Plume relocated to Toronto (“a tough nut to crack,” he says) and ended up taking his first paying job doing courier work while living there, distancing himself from the music world even more. A trip to Nashville to visit friends in 2006 would set Plume back on track to making music. Prior to heading down to Music City, Plume reached out to his former colleagues at a music publisher to see if they could hook him up with some other writers to help keep him busy while he was there. Before he left town, Plume was asked if he was looking for another publishing deal and became a Nashville resident for the second time in his life in 2006. With many songwriters looking for that one big hit to add to their resume, it might not be unreasonable to expect the atmosphere in Nashville to be very competitive as writers jockey for their place at the top of the heap. Plume insists that this isn’t the case however. “Nashville has an insane amount of songwriters. Surprisingly though, it is not competitive at all. Everyone in Nashville is very open to writing with everybody else. It is not nearly as protective as you would tend to think it would be,” he says. “I’m like the unofficial head of the Canadian songwriter contingent,” Plume laughs. 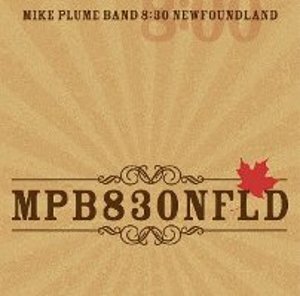 “Most Canadians who write songs that end up in Nashville end up giving me a call.” Interestingly, The Mike Plume Band’s new record 8:30 Newfoundland was born thanks to a phone call from a booking agent in Europe. The agent asked Plume if he would be interested in bringing his old band back together for a tour overseas. The tour didn’t end up taking place but once he had started the process of writing new material, new songs swelled out of the songwriter. He and his former bandmates in the Mike Plume Band hadn’t played a note together in over four years but once they reconvened to make their new record, Plume says it felt as though they hadn’t missed a beat. And judging by the quality of songs on the record, the time off didn’t harm them one bit either. The group’s material sounds as phenomenal as ever; the album’s title track leads the record off and immediately brings listeners back to the group’s familiar roots-country sound. With a new record comes the inevitable touring schedule: Plume recently supported country band Big & Rich and is gearing up for Country Music Week, held in Vancouver this coming weekend. Plume will find his way back to New Brunswick for shows with his friend Corb Lund next month. The duo will be performing at the Playhouse in Fredericton on Sunday October 18 and at the Imperial Theatre in SJ on Monday October 19.